If you've ever experienced a Northwoods sunset, you know it's a moment unlike any other. So instead of putting it into words, we captured the Northwoods' finest moment in every batch of our all-new Leinenkugel's Sunset Wheat. Brewed with malted wheat, Cluster hops and natural coriander, Sunset Wheat has a soothing taste that will leave you speechless. It's like your very own sunset in a bottle. This is another gift from my friend Gene. 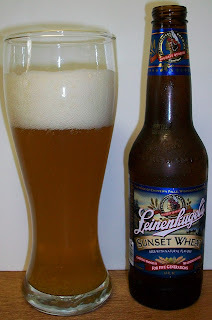 I have had some hits and misses with Leinenkugel over the years. Some, like the Summer Sandy I love and others just fall short of the mark. I have not had this one so I’m really looking forward to it. Lets see what this Wit is make of. The beer pours a hazy rich golden yellow with a bright white head. The nose is mostly sweet citrus aromas on a yeasty background. That was a very refreshing first sip; sweet wheat malt with the most refreshing citrus finish. This will make a great summer picnic beer. The taste starts out with a wheat malt sweetness up front on the tip of the tongue then the most pleasant and refreshing washing over the tongue throughout the middle of the sip. The back-end is extremely easy drinking with an effortless swallow. The finish is also refreshing with sweet citrus notes along with a very low hop bitterness. There is a very pleasant citrus and wheat aftertaste. It’s not very strong or lingering and it adds to the refreshing aspect of this beer. As soon as you’re done with one sip you can’t wait to do it all over again. This is going to be a short review since the glass is almost empty already. This is a very unique and enjoyable beer. It’s not quite a Belgian Wit; it does not have the spice and sharpness of a Belgian. 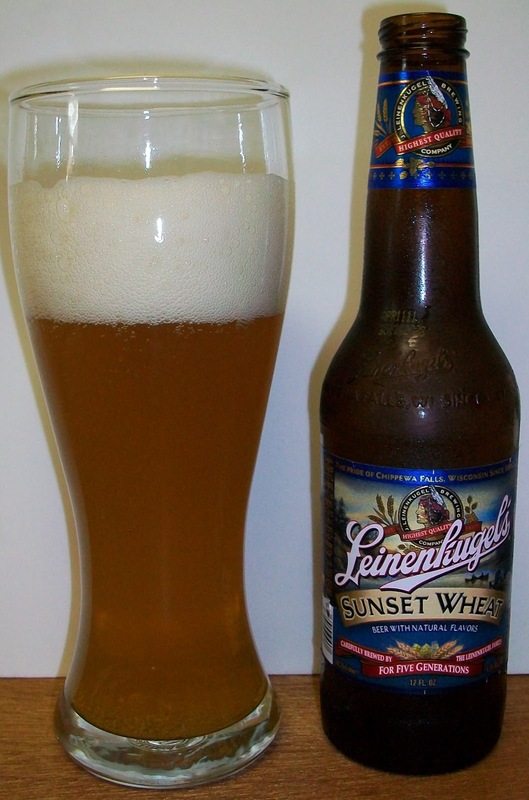 It is however extremely refreshing and easy drinking, more like an American Wheat beer. All and all I’m going for a B- on this one. This is an excellent summer beer; clean and refreshing with just enough citrus notes to refresh without giving that artificial lemonade flavor. What a great summer beer. I wish I had more than one of these.